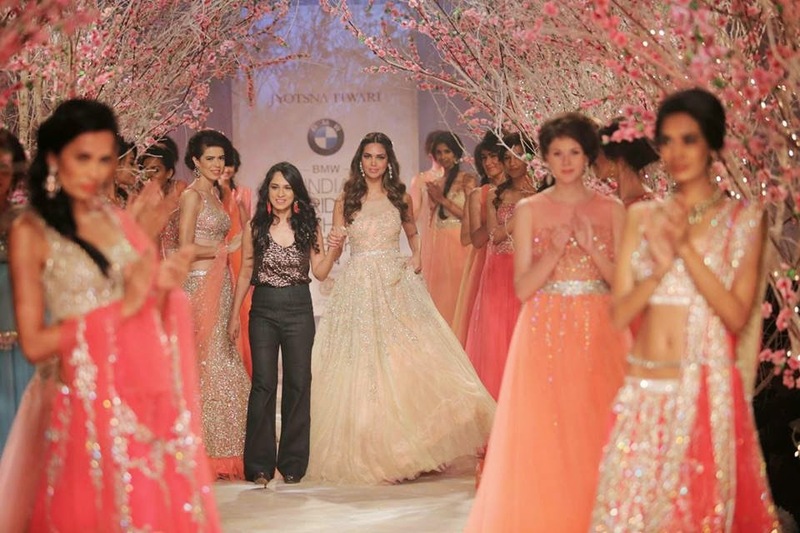 Looking her absolute best is not an option but a given for any bride on her wedding day. Great care is taken to choose the right outfit, apply perfect makeup, smooth her tresses into a silken glory so that at any photo op, she is picture perfect, and all eyes are on her. 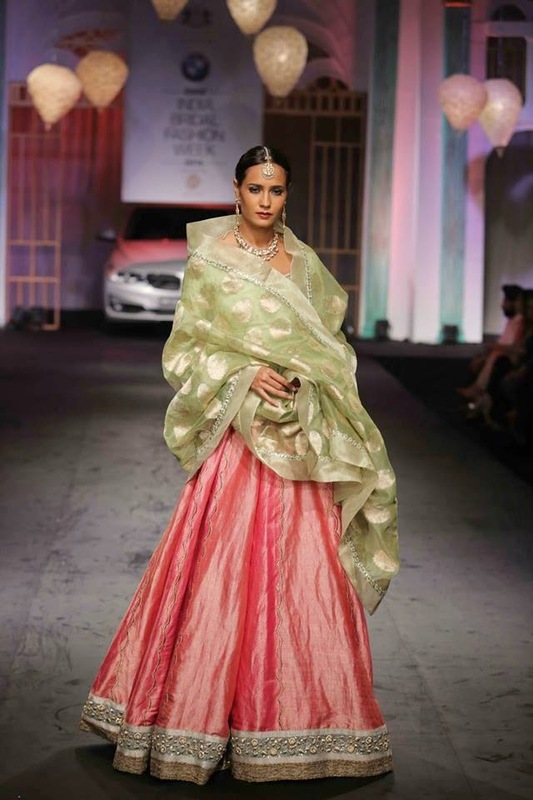 For most brides, wearing a lehenga choli is a given, but how does she ensure she is ahead of the trends that dictate lehenga choli bridal wear? Well, here’s where we come in. Presenting to you, the colors and trends that will ensure your look and your lehenga choli bridal outfit is talked about for years to come. White and gold is a traditionally elegant colour combination that spells class. 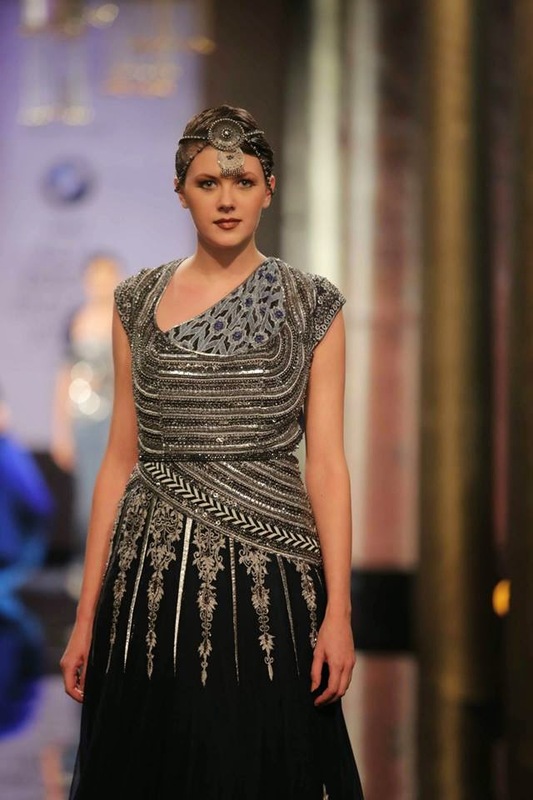 Rohit Bal’s collection at the India Couture Week 2014 was evidence that this gorgeous combination always comes tops. 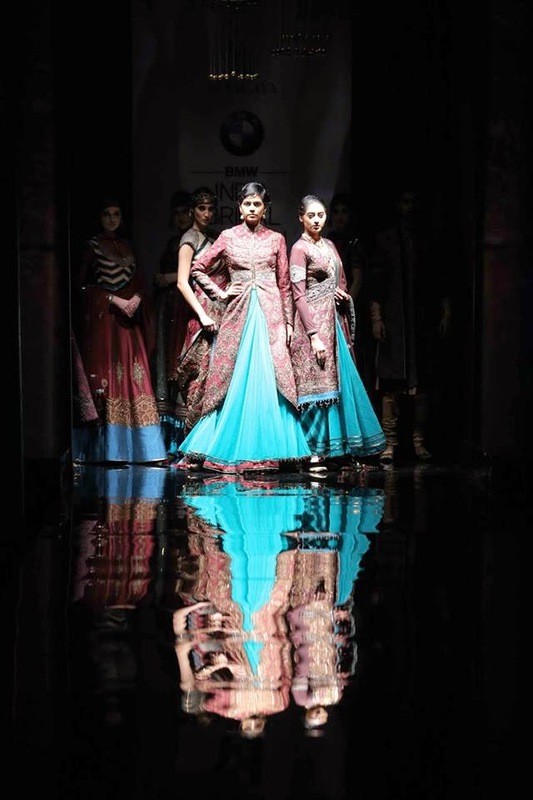 Beautiful full-flared lehengas worn with bandhgala-inspired jackets in the same colour combination left us breathless. While his collection was inspired by traditional prints, a more sequin-heavy look could be a great choice for the lehenga choli bridal wear you pick. The colour palette of this lehenga choli bridal wear collection is one that personally we would like to see off the ramp, too. More often than not, lehenga choli bridal wear that is traditional in design is also in the conventional shades of red and maroon. 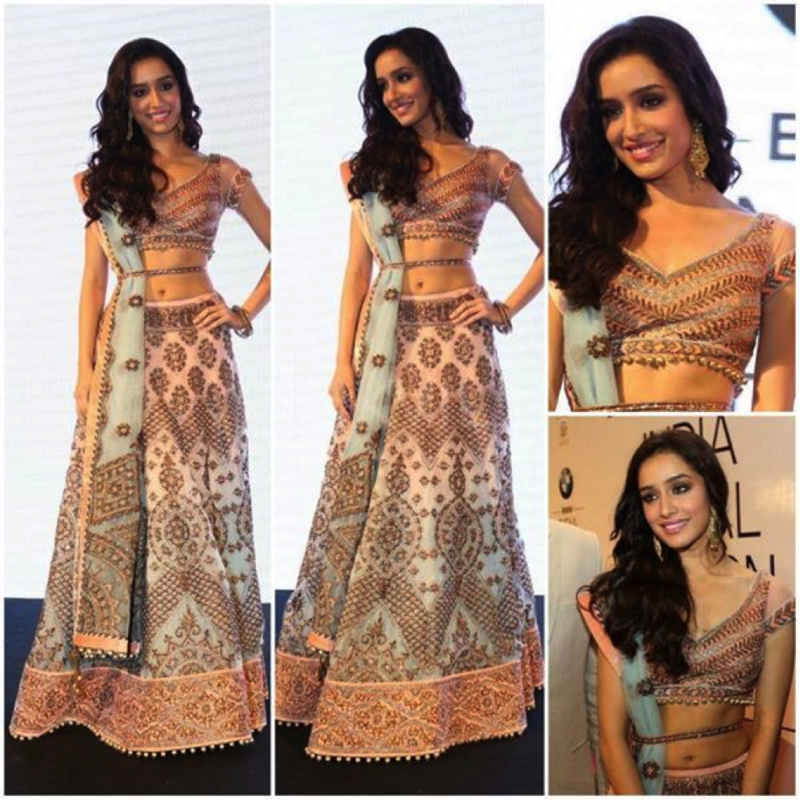 So we were overjoyed to see this pink and blue JJ Valaya creation on actress Shraddha Kapoor at the official announcement of the Indian Bridal Fashion Week. The gorgeous pastel pink and blue combination with the subtle ombre effect isn’t one you see often and we love it. 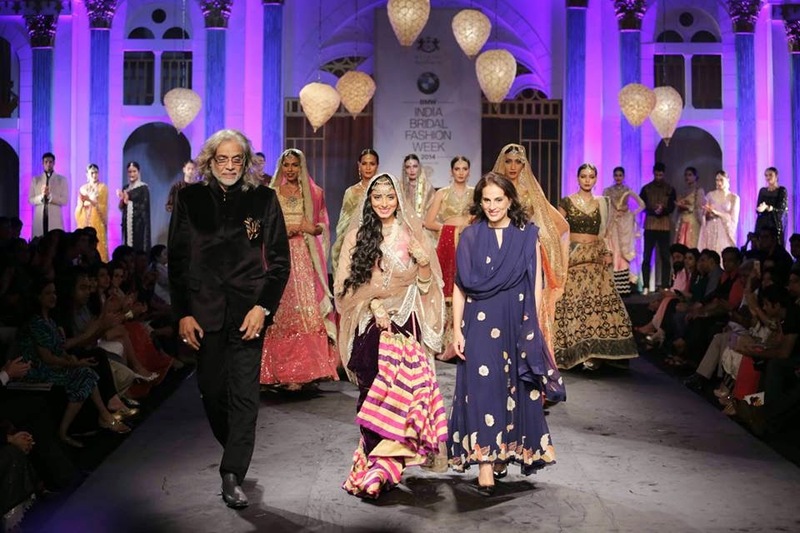 We also saw a deeper, brighter pink and blue bridal lehenga choli in Manish Malhotra’s collection and we are beginning to lust after this not-oft-explored combination in lehenga choli bridal wear. 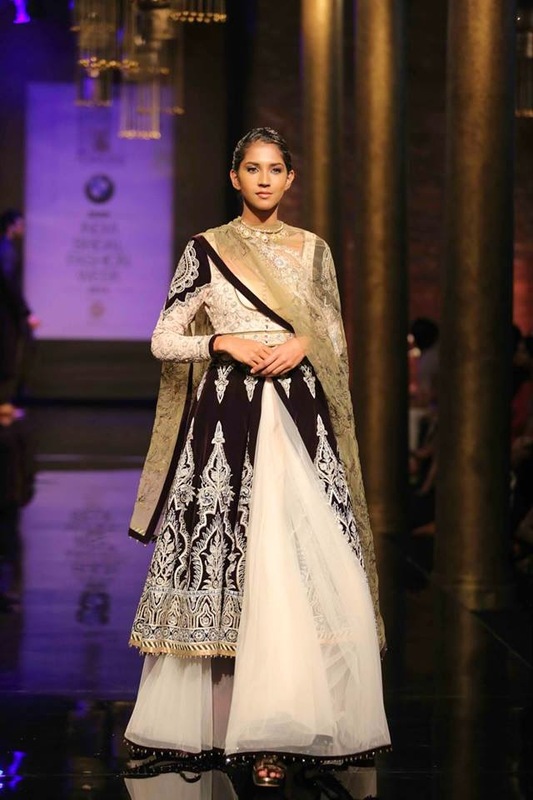 For brides who love to have a bit of fun and want a more fuss-free version of the lehenga choli for their weddings, just take a look at the Tarun Tahiliani collection for bridal wear. Pre-pleated dupattas and multi-layered, frilled lehengas mean you get the fit, finish, and functionality that you would normally associate with everyday clothing. The all gold colour theme brings a certain level of glamour to the lehenga choli that every bridal wear needs. What else can you want from your lehenga choli bridal piece? 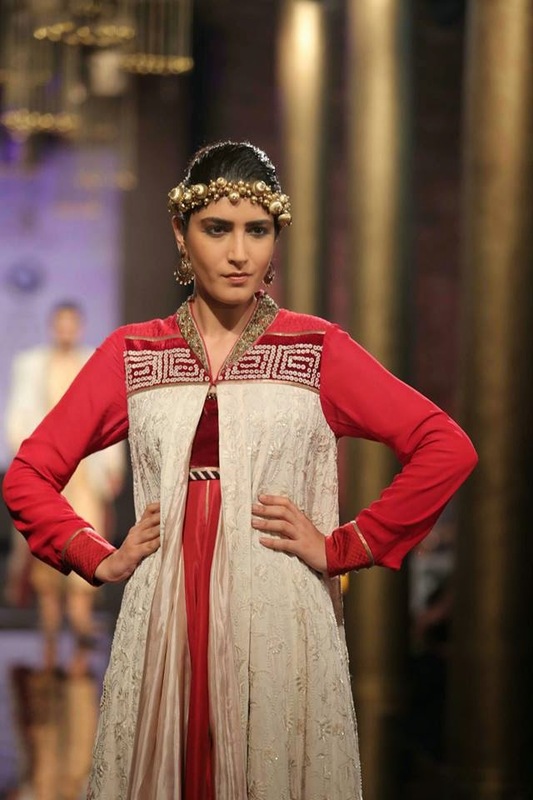 Looking for a classier, sleeker bridal outfit that you could probably wear again without feeling too over the top? 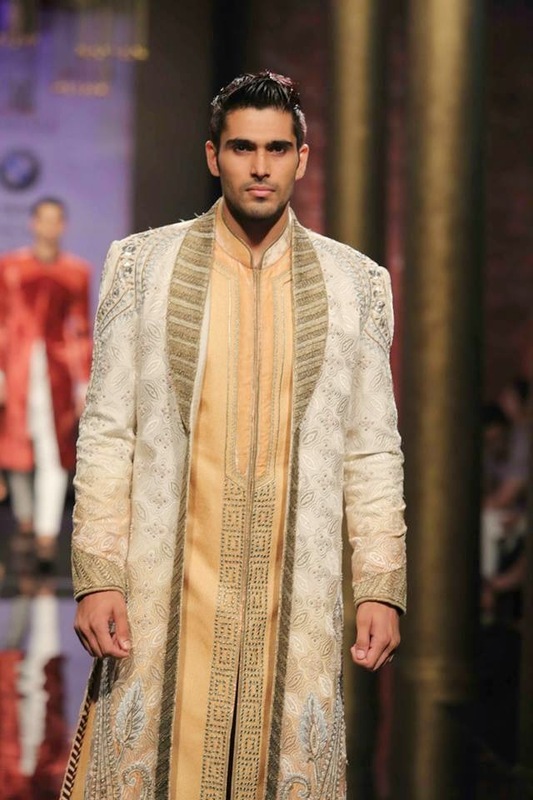 Then Abraham & Thakore’s look featured in a leading bridal magazine maybe just what you are looking for. Wide-legged, high-waisted pants that when worn could easily pass off for a lehenga and a half-sleeved traditional choli; the entire outfit taken up a notch with sequin embroidery, it is a look that is draws your attention without being garish. 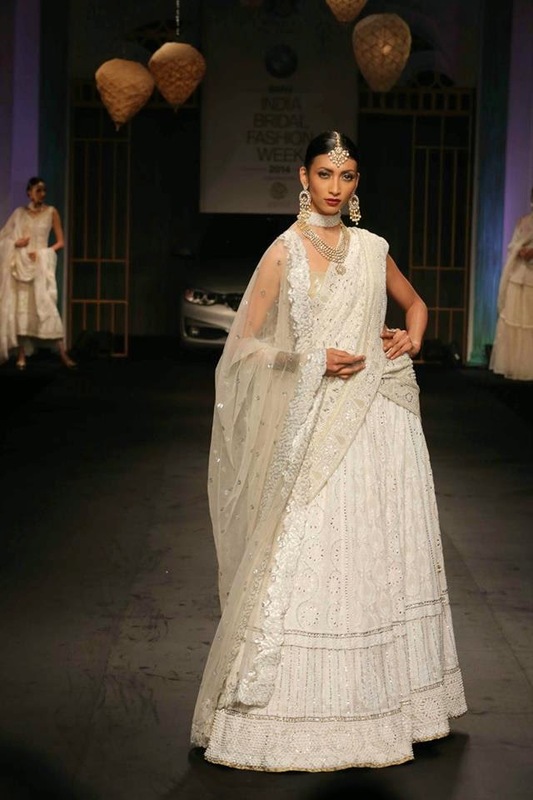 This is the perfect lehenga choli bridal outfit for a bride who believes in subdued elegance. 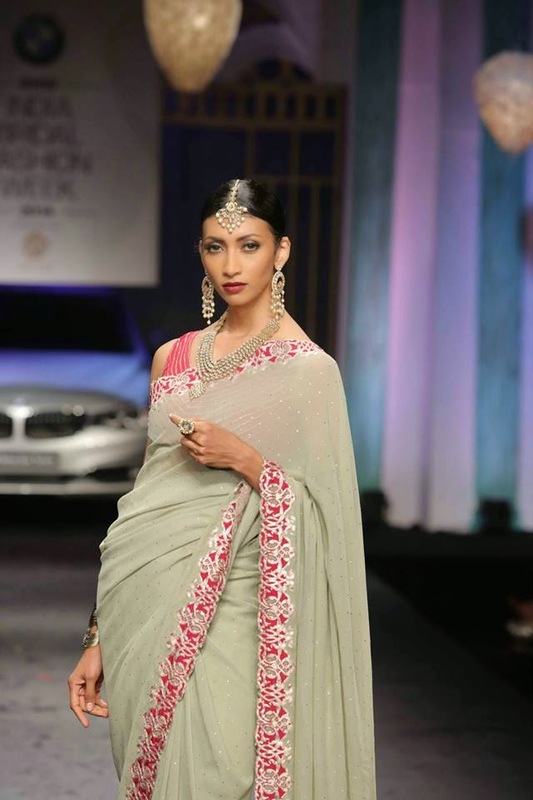 Now if you are bride who is a bit of rebel and you want a lehenga choli for your bridal duties that is a bit more off kilter, then we suggest for inspiration Monisha Jaisingh’s latest collection. 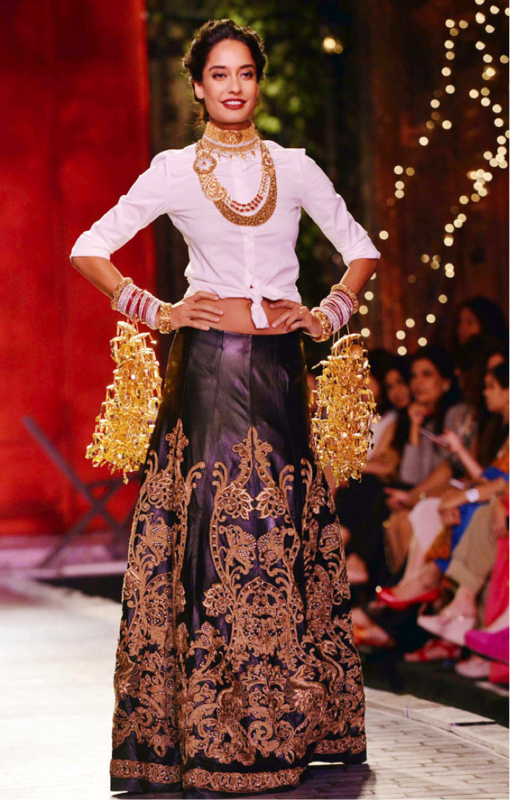 She had model Lisa Haydon strut down the ramp in a black leather-inspired, heavily-embroidered in the Rococo style lehenga which was worn with a white knotted shirt top, and beautiful bridal jewellery. The edgy brides of today would love an outfit inspired by this; a lehenga choli bridal in design but dramatic and rebellious at heart. If you love the classic beauty of a red lehenga choli (and who doesn’t), look no further than Manish Malhotra for inspiration. 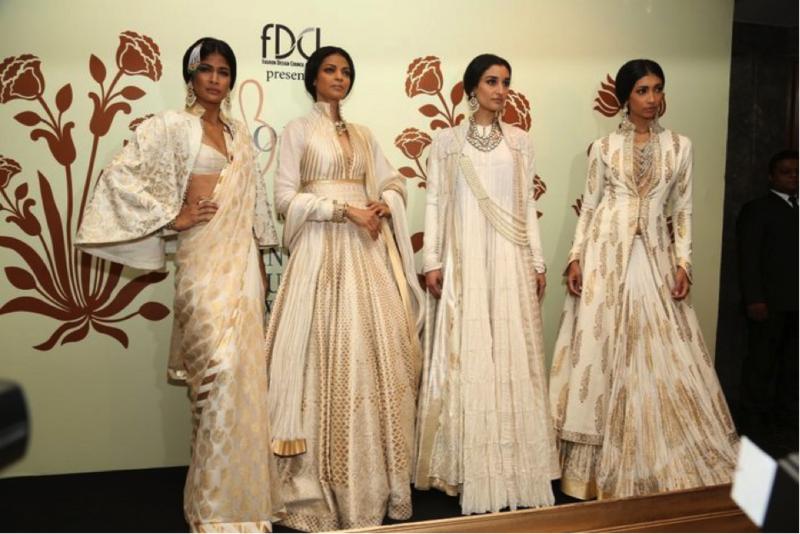 At the India Couture Week, he played around with gold dust and beige hues to create lehenga choli bridal designs. What left us spellbound was the creation in which Alia Bhatt walked down the ramp; a red full-sleeved choli with gold embroidery on the sleeves, a full, flared, covered with gold work lehenga, and a sheer dupatta. To say that it was breathtaking would be to spell the obvious. Now that you have been spoilt for choice, picking the lehenga choli bridal outfit for your D-day should be an easier task. Be prepared for the admiration and compliments you receive when you make your entrance on your special day. It’s going to be a moment that you will want to relive time and time again.